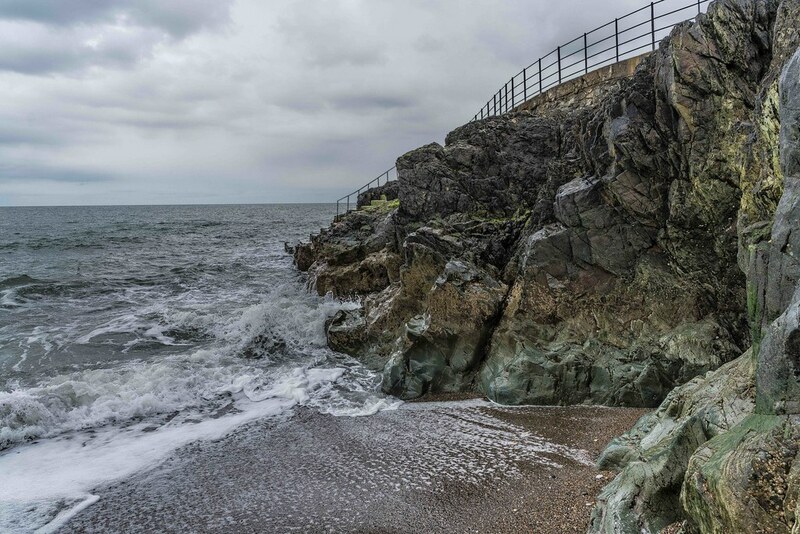 Greystones is a coastal town and seaside resort in County Wicklow, Ireland. 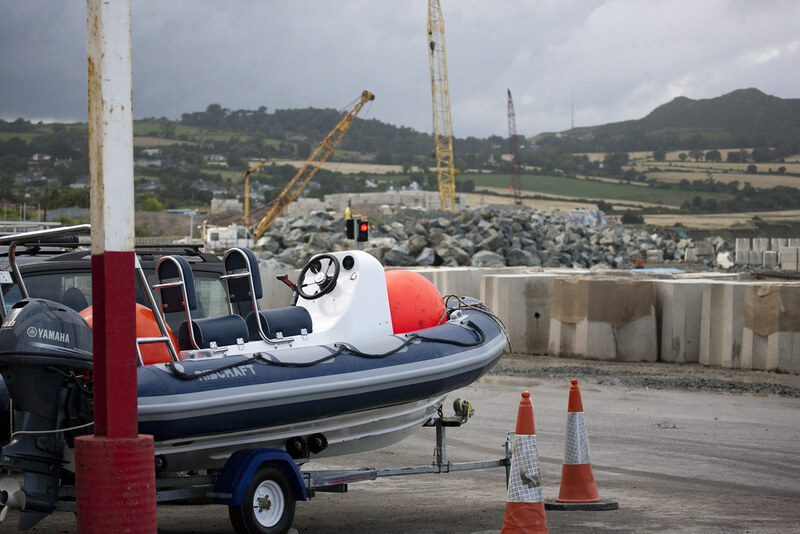 It lies on Ireland's east coast, 8 km (5.0 mi) south of Bray and 27 km (17 mi) south of Dublin, with a population of about 17,000. The town is bordered by the Irish Sea to the east, Bray Head to the north and the Wicklow Mountains to the west. The town was named after a one kilometre stretch of grey stones between two beaches on the sea front. The harbour area and the railway station are at the northern and southern ends respectively. The North Beach, which begins at the harbour, is a stony beach and some of its length is overlooked by the southern cliffs of Bray Head, which are subject to erosion. The South Beach is a broad sandy beach about one kilometre long. It is a Blue Flag beach and receives many visitors and tourists, mainly in the summer.